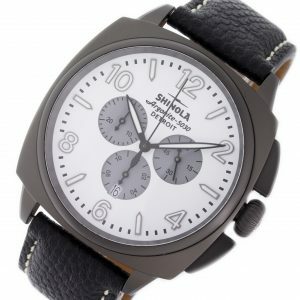 Stainless steel Shinola The Runwell Chrono 10000063 watch, water resistant to 100m, with date, chronograph, and bracelet. 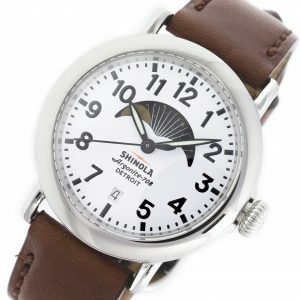 Stainless Steel Shinola The Runwell Moon Phase 36mm 120001107 watch, water resistant to 50m, with date and leather strap. 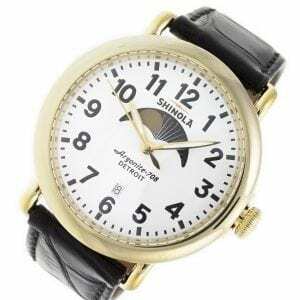 PVD Steel Shinola The Runwell Moon Phase 41mm 10000182 watch, water resistant to 50m, with date and leather strap. 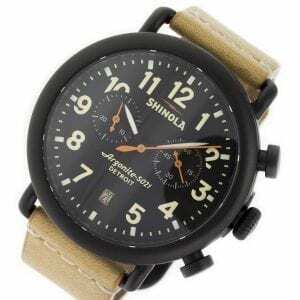 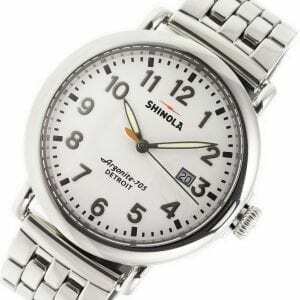 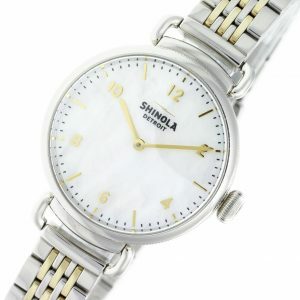 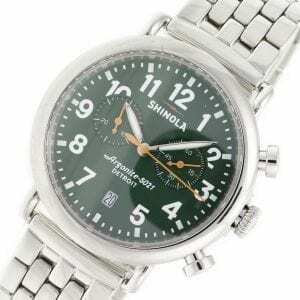 Stainless steel Shinola The Runwell Detroit 10000054 watch, water resistant to 50m, with date and bracelet.